A series of poor games has led to the sacking of Borussia Dortmund manager Peter Bosz. A 2-1 defeat against Werder Bremen in the German league on Saturday saw their winless run stretch to 12 games, something which Dortmund fans are not accustomed to. The 54-year-old Dutch manager took over the team last summer and helped them have a bright start to the season, until they fell apart. At present, they stay lingering in the 8th position in the league table, with just 22 points from 15 matches. WATCH: Conte To Be Sacked Next? Apart from the league, they had a forgettable outing in the Champions League too, where they couldn’t manage to qualify from the group stages. 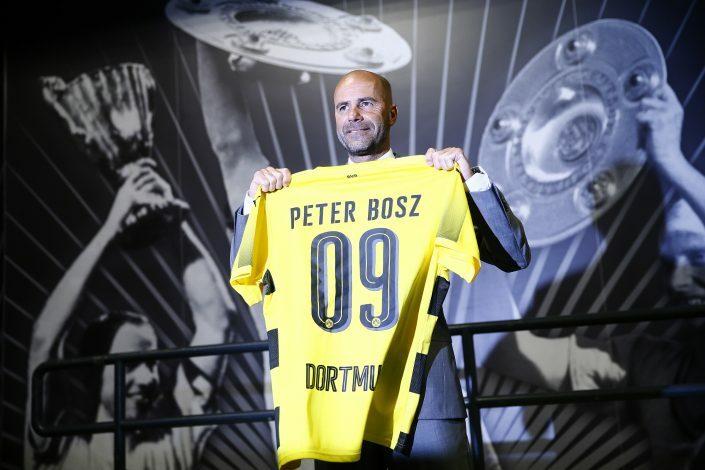 Hans-Joachim Watzke, Dortmund’s chief executive, stated in an interview: “Last night, in a conversation with Peter Bosz, we decided that we would release him with immediate effect. Interestingly, the 51-year-old Austrian was sacked by Cologne earlier this month, but his approach at the start of his venture helped the team gain promotion from the second tier, and then to fifth place in the league last season. Dortmund would expect something just like that from him.